Why aren't more Muslims living in the West actively speaking out against a series of terror acts inspired by Islamic State ideology? Are the press releases against such acts released by traditional Islamic centres enough to show our solidarity with our neighbours? These are the questions in my mind. Why aren't more Muslims living in the West actively speaking out against a series of terror acts inspired by Islamic State ideology? Are the press releases against such acts released by traditional Islamic centres enough to show our solidarity with our neighbours? These are the questions in my mind in the wake of recent acts of terror. 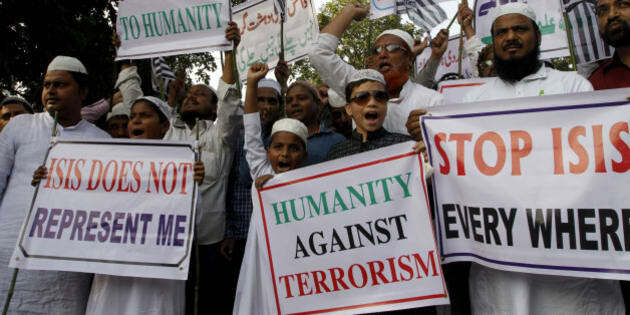 It seems that Muslim masses in the West have not been able muster up big rallies to denounce the terrorist attacks in Paris, San Bernardino, London and beyond. Instead, all we see are apologetic or defensive statements made by Islamic groups. Many of us Muslims seem to be more focused on talking about hate incidents that have occurred in relation to those acts than we are on denouncing the Islamic State attacks and ideology. We need to understand that we can counter those hate-related incidents more effectively by creating trust with our fellow citizens. We need to demonstrate through our actions that we are not only against ISIS, but we are also against its ideology. We must show that we are only loyal to our country, whether it is Canada, the U.S., the U.K., France, Germany, Belgium, Denmark, or wherever it is we call home. Unfortunately, not all of us Muslims are engaging our neighbours in this way. Over a dozen secular liberal Muslim organizations gathered in Washington D.C. for the Summit of Western Muslim Voices of Reform Against the Islamic State and Islamism in December. Sadly, a Muslim couple inspired by the Islamic State's ideology carried the horrific act of terrorism we saw in San Bernardino on the very same day that these Muslim leaders were meeting in D.C. to form a coalition against the terror group. Despite this, the summit planted the seeds of the first-ever Muslim Reform Movement. "We are announcing today the formation of an international initiative: Muslim Reform Movement. We are Muslims who live in the 21st century. We are in a battle for the soul of Islam, and an Islamic renewal must defeat the ideology of Islamism, or political Islam. We reject interpretations of Islam that call for a violent jihad, social injustice and political Islam. We are loyal to the nations in which we live. We reject the idea of the Islamic state. There is no need for an Islamic caliphate." This declaration is quite a slap on the face of the Islamic State. But will this Muslim Reform Movement be able to convince Muslims in the West to change their mindset towards their worldview? Muslim voices need to wake up now and align themselves with rationality. As the Reform Muslim Movement rightly says, "Our ummah -- our community -- is not just Muslims, but all of humanity."